India's first indigenous manufactured aircraft carrier INS Vikrant, is going to be a milestone in the nation's military history as it will propel India into the exclusive league of only four nations US, Russia, UK and France, that can build carriers of this size. 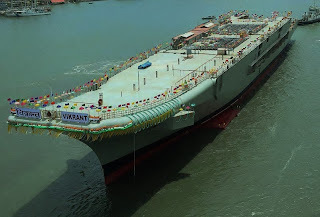 37,500 tonne, INS Vikrant will be around 40,000 square meter of war zone floating on the sea when fully developed. This makes the ship, biggest ever constructed in India. Though it would come fourth biggest when compared globally. 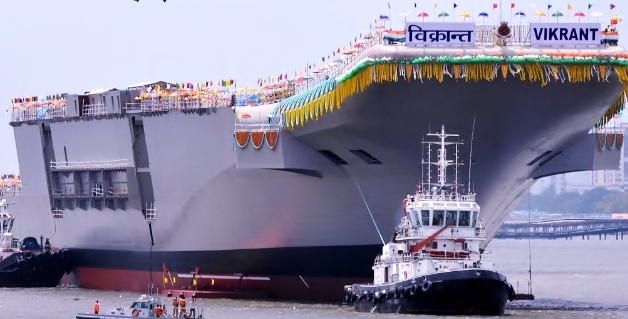 The indigenous ship INS Vikrant to be powered by General Electric gas turbine engines. The ship has been designed by Fincantieri of Italy. Ship is named after India's first aircraft carrier, the INS Vikrant which was originally the HMS Hercules of Britain's Royal Navy. Former Vikrant had taken active part in the 1971 Indo-Pak War. With the development of INS Vikrant India can feel relieved, with it's security concerns, and this also making us feel cherishing our dream of superpower soon. INS Vikrant is not only making headlines in India but in many South east countries like Japan, Indonesia and Philippines. INS Vikrant giving a strong hope to Japan and smaller Southeast Asian players like the Philippines which are struggling under intense Chinese military pressure. On the contrary Vikrant is now being interpreted as a bad omen by Chinese Media, saying Vikrant would disrupt the military balance in South Asia and quicken India's pace to steer eastward to the Pacific. The landing and take-off options for fighter jets from an aircraft carrier of the size of INS Vikrant is such that India will act like protagonist, if not a major power, in the Asia Pacific region. If ever any untoward incident occurs in East Asia, be it a direct threat to our energy infrastructure or commercial projects, or even to the territorial integrity, India can soon field its complete aircraft carrier battle group, but not before 2020 as INS Vikrant, will not be ready to go to war anytime before 2020 even if it's handed over to the Navy in 2018, as is now scheduled. 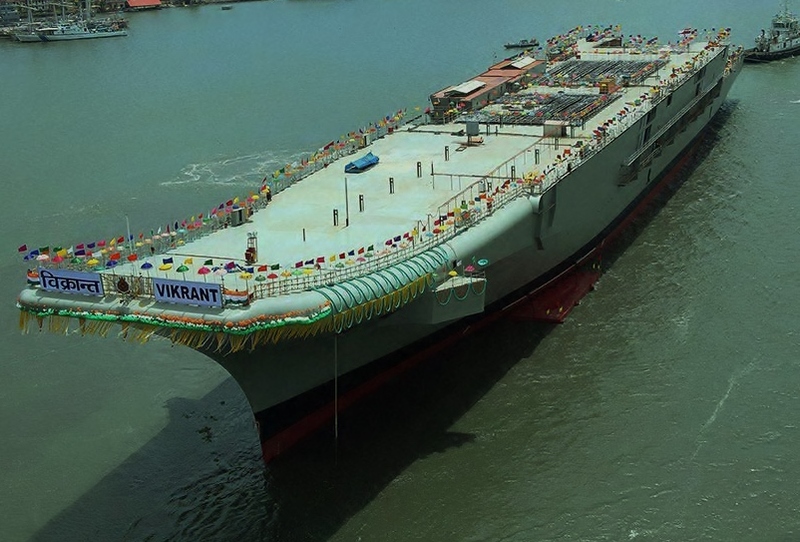 Vikrant took around 15 years to take this shape and will take some more for being used in military and act fully operational. India needs to safeguard it primary area of Geo-political interests from the illicit expanding of Chinese Navy for strategic space in the Indian Ocean Region.